Search Engine Optimisation services you can rely on. Judging by the number of people who type “what is SEO” into Google, it’s a much-misunderstood concept. 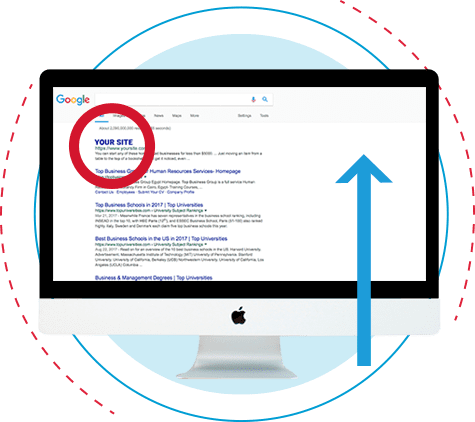 Our SEO explainer provides a little more detail but in essence, it’s pretty much any activity that attempts to improve how well a web page ranks in Google’s natural search results for a specific search term. If you search on Google for the products and services you offer but all you see are your competitors, it’s probably a good idea to consider investing in SEO. Although seldom a quick fix, SEO done right can cement your business at the top of Google or Bing search results and generate website traffic and enquiries in a way few other 21st century techniques can match. Well executed SEO campaigns transform businesses and make a massive contribution to a business’s growth plans. If you’re trying to grow your business you simply can’t ignore SEO. There’s a saying that goes “the proof of the pudding is in the eating”. If you carry out a Google search for, amongst other search terms, “SEO” or “what is SEO” or “SEO explained” you’ll find us on page 1. These search terms are highly sought after and very competitive and, hopefully, illustrate our capability. We’d love to help you make sense of search and you are very welcome to give us a call for an exploratory chat.